Jenna Coleman answering fan questions. Friday was a full day at the con for Ellie and me. A lot of our time was spent in the Grand Ballroom in panels. We got there in time for Jenna Coleman's panel in the morning. I've seen Jenna Coleman before in San Diego so I wasn't sure if this one was going to be similar, The Doctor Who panel at this year's SDCC was a tiny bit lackluster so I didn't know what to expect here. 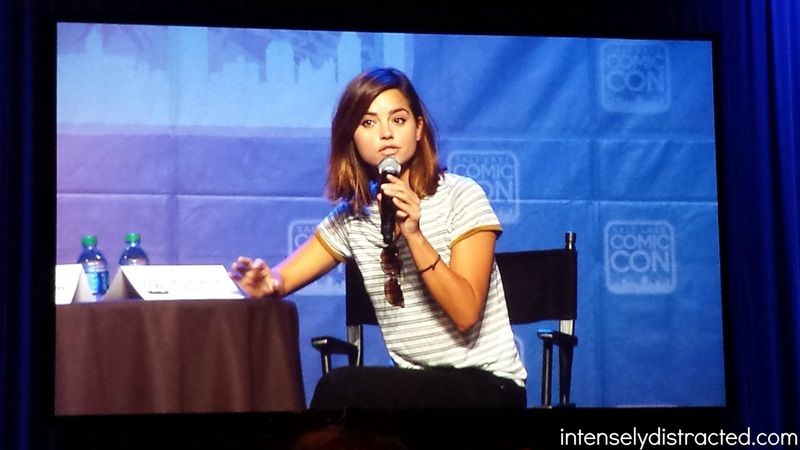 Jenna Coleman ended up being very entertaining and I really enjoyed her solo panel with all the Q&A.